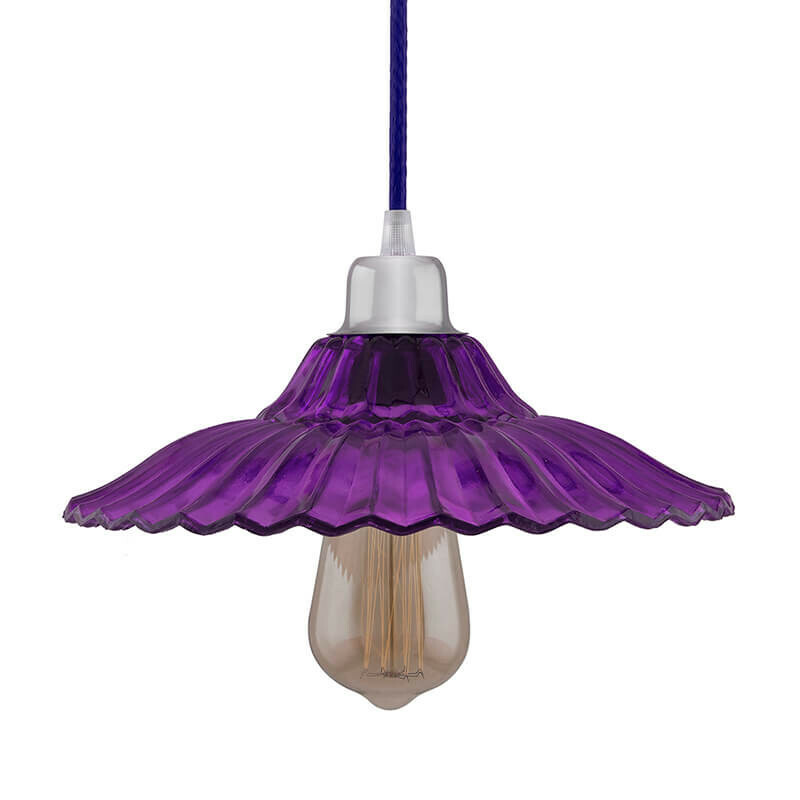 This Vintage Glass Pendant Light stands out on the market for the elegant design, is made of solid glass with beautiful fabric cord integrated, reaches to the highest safety standard canopy structure, 15KG hanging weight affordable. Compatible with incandescent, LED, CFL and halogen bulbs with E27 sockets. You can choose a proper bulb to match with your decorations. The bulbs in the picture are NOT included in the package. 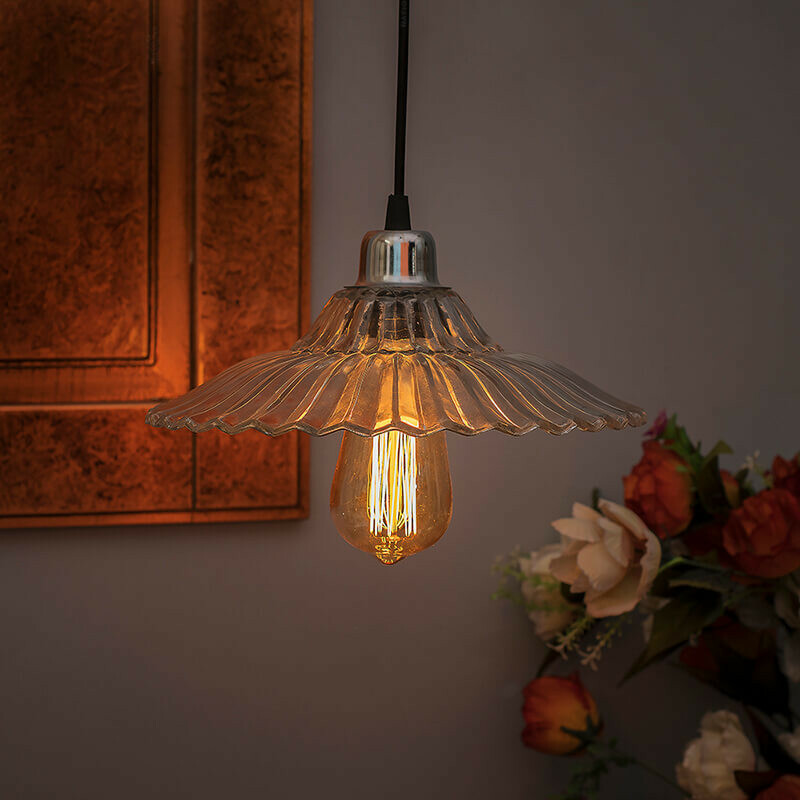 This pendant light can decor the bedroom, dining room, living room, kitchen, laundry; you can match it with many kinds of styles, such as industrial, modern, retro, Scandinavian, traditional, country etc.